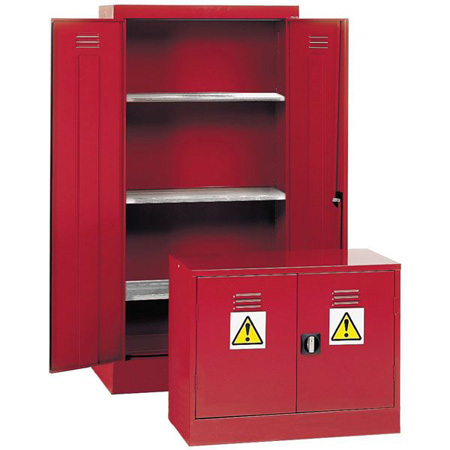 Pesticide & Agrochemical cupboards from 3D Lockers comply fully with the Health & Safety Executive which states that all pesticides should always be stored only in their original containers and show the approved product labels. They add that all stores should be designed to contain any spillages or leakages, completely constructed from non-combustible materials, and always be secured against any unauthorised access. With this in mind, choosing from this collection of robust pesticide cabinets and agrochemical storage cupboards from 3D makes sound sense. 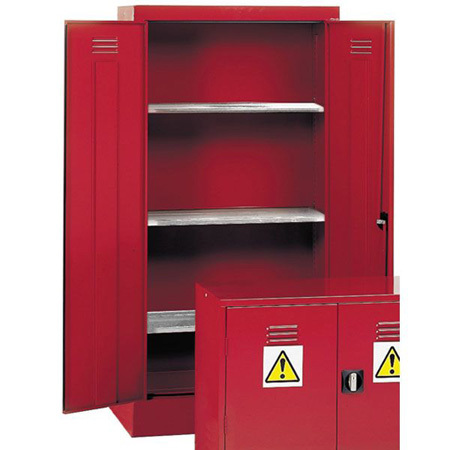 These are COSHH cabinets, and have special louvred doors for extra ventilation as required. 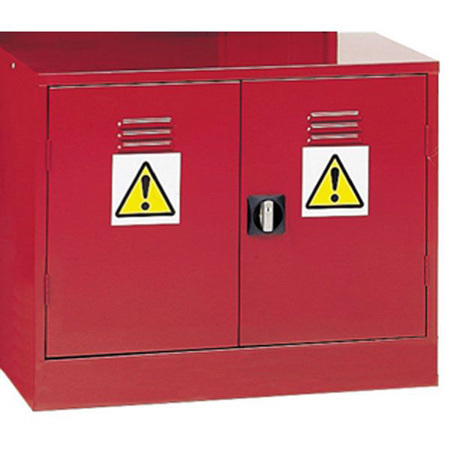 Effective as pesticide or agrochemical storage cabinets and cupboards, you might choose the tall three-shelved, double-doored model which is available in both standard and wide options. Alternatively, a selection of smaller cabinets might completely meet your needs. Whichever your choice, you’ll appreciate their reinforced rigid strength, or no snag handles with 2-point locking. 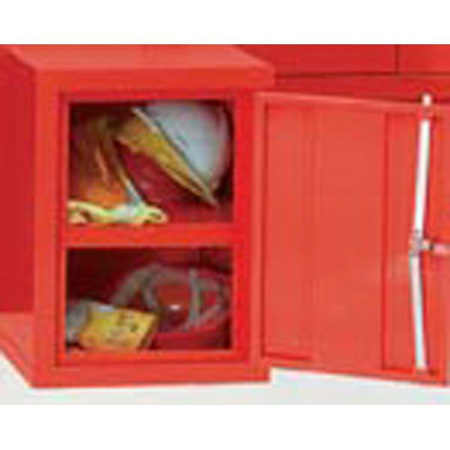 Each of our cabinets is red epoxy powder coated with clear warning labels in a prominent position. Stands and extra shelves are also available for some models within the range. 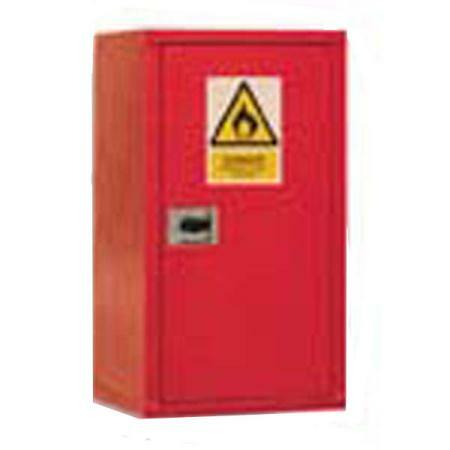 Safe storage of these hazardous materials is good practice. To comply with your legal requirements and know you have chosen a top-quality does-the-job product, simply choose from this 3D range of stand out pesticide storage cabinets, agrochemical cabinets and cupboards or see our range of hazardous cabinets for more general storage solutions.